Good bacteria are essential to support a healthy gut. Align Prebiotic + Probiotic Gummies are made with a blend of prebiotics to nourish the good bacteria in your digestive system, and probiotics to add more good bacteria. * Plus, every great-tasting gummy is packed with natural fruit flavors. Align DualBiotic Gummies contain the probiotic Bacillus Coagulans and the prebiotic inulin. *THESE STATEMENTS HAVE NOT BEEN EVALUATED BY THE FOOD AND DRUG ADMINISTRATION. THIS PRODUCT IS NOT INTENDED TO DIAGNOSE, TREAT, CURE, OR PREVENT ANY DISEASE. Instructions: Adults 12 and over chew 2 gummies. Take up to two servings per day. Reduce daily dosage if temporary gas or bloating occurs. This is a fantastic Dual Biotic for people that want some gut balance. I love that it is for both, prebiotic and probiotic to help nourish good bacteria in the digestive system. It comes in natural fruit flavors and each one has 54 gummies (regular serving size is 2 gummies) and can be taken daily for best results. Made for age 12+. 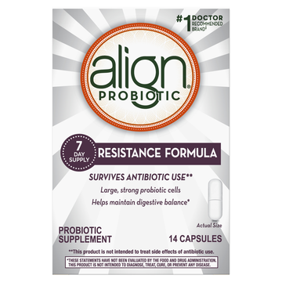 I recently purchased these Align Prebiotic + Probiotic Supplements from Walmart and I am loving them. They are an easy and delicious way to stay healthy, especially during the holiday season! If you are looking for the perfect gummy supplement full of nutrients, look no further than these Align Dualbiotic Gummies! I have tried many other probiotic supplements in hopes to keep my gut flora healthier (less bloating at night, etc). I was excited to find the Align Dualbiotic Supplements at Walmart! They are one of the best tasting ‘probiotics' I have taken as well as easy to consume with them being gummies. Also excited about the ‘prebiotic' component of these! Best PreBiotic/ProBiotic I have tried! I love that these are gummies, and they are so quick and easy. I set them by my coffee pot, and take them every morning. The Dualbiotic is the best for making sure you have both pre and probiotics in your gut. During this Holiday season we will travel, and need to make sure we keep our guts happy. This is a sponsored review and I was compensated for this review! All thoughts and opinions are my own and I truly enjoy these gummies.